From 1st of March 2019 EMS Maritime Offshore (EMO) will provide Marine Coordination personnel for Vattenfalls own Marine Coordination Center based in Esbjerg. 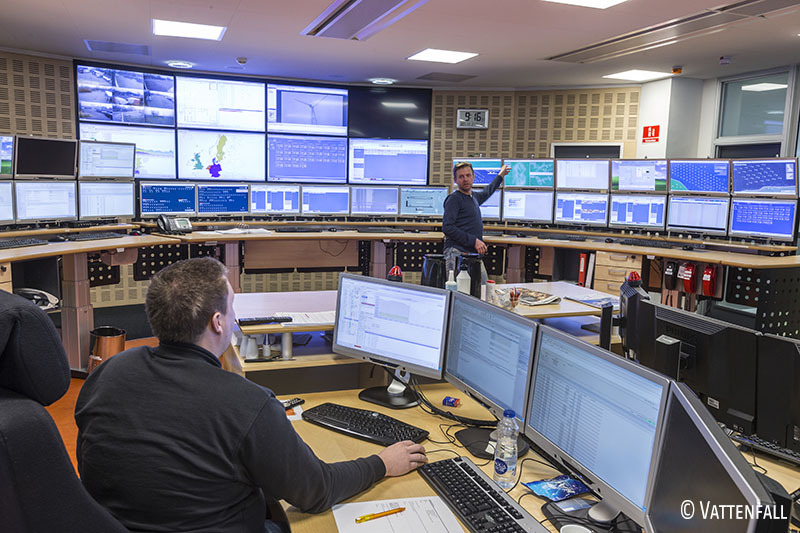 Up to 10 well-trained and experienced EMO Marine Coordinators will support Vattenfall´s offshore wind projects 24/7 during the construction and operation phases. Inter alia, the team will be responsible for documenting and coordinating all personnel and ship movements in the offshore wind farms. Vattenfall coordinates its offshore wind farms on the Danish west coast from Esbjerg, including the Sandbank and Dan Tysk projects, which are already in the operational phase, and the Horns Rev 3 project, which is currently in the construction phase. Founded in 2010, EMS Maritime Offshore (EMO) offers comprehensive maritime services for offshore wind farms in the North and Baltic Seas. In addition to the activities of a certified shipping company focusing on in the special requirements of offshore wind farms, EMO also provides the necessary port services in various service ports located close to the wind farm clusters. This includes provision of office, warehouse and outdoor storage capacity as well as parking space and berths for service vessels. The extensive service package is rounded off by the Marine Coordination section which supervises control of all logistics processes and maritime site observation by the in-house coordination center VENTUSmarine. Today, the company has approximately 100 employees, and the EMS AG Group has over 450 in total, as well as 50 student workers.